Welcome to Ocean View Heights with its stunning and uninterrupted views over beach, bay and beyond. This home ticks all the right boxes. 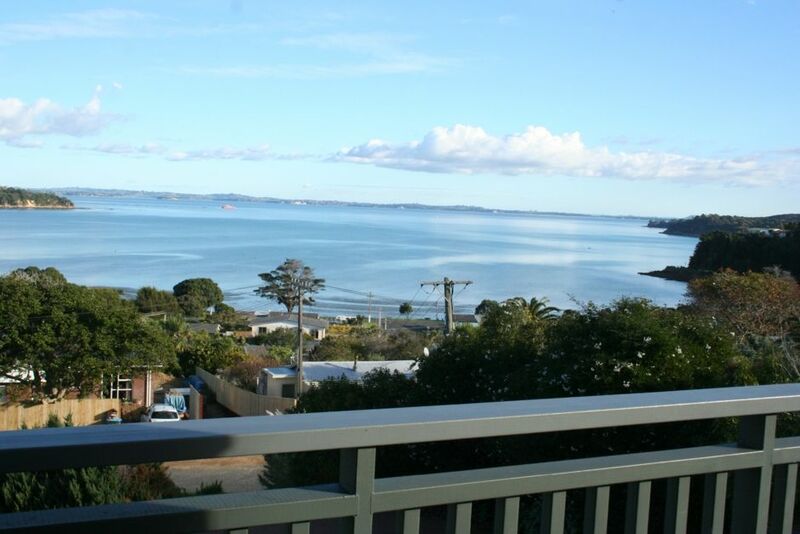 Close to beach, ferries, bus stops, shops and Oneroa. Two minutes to Surfdale Village, Stefano's famous Pizzas, Upmarket FrencHot Restaurant, Bakery, Cafe', Irish Pub, Beauty Salon and Dairy. Easy access with off street parking. Fully equipped with all you need for that special holiday. Perfect girls pamper weekend getaway. Cosy with a heat pump for winter. Close to scenic coastal and bush walks. Wonderful views from the deck. All day sunshine. Stunning sun-sets. Be ready to indulge yourself in this magical spot. A comfortable, well equipped home ideal for a group stay. Amazing view. Close to Oneroa and car ferry. Would stay there again. Enjoyed our stay - great views and plenty of beds for everyone. We really enjoyed our stay in the house and wouldn't hesitate to stay again. The top floor has fantastic sea views and the location is great for getting to Surfdale, Little Oneroa and Oneroa. Great house, great location and amazing view. Very clean and easy to stay in. Nice easy walk to coffee shops and the sea. Very convenient. Thanks so much. Two families stayed there together and had a great time. The kids loved running around on the lawn and having ac and wifi was wonderful. the bedrooms downstairs also stayed cool despite the afternoon heat.